Maruti Cars have finally launched the special edition variant of the leading Maruti Swift Dzire in the Indian market and called as Maruti Swift Dzire Regal. On the fifth anniversary of the most popular sedan brand Maruti Dzire has launched the limited edition Regal. This vehicle powered with new features and the company's main aim to launch the vehicle, so that it can provide a stiff competitive to the Honda Amaze. The new sedan model is an attempt to bring a more value to the Dzire by injecting more innovative features. The new variant attracts the Indian buyers with excellent colour options like bright Red, Pacific Blue, Clear Beige, Arctic White, Silky Silver, Glistening Grey and Midnight Black. This Regal includes a new refreshed several changes of the Dzire in both the exterior as well as the interior. As for the exterior of the Latest Cars, it gets a new silver finish to the upper and lower grille, body coloured bumpers and mudguards and new body graphics with a massive 'R', which indicates that it is a new Regal variant. The new variant comes with silver ORVM, silver finish to the fog lamps and outside mirrors and roof mounted antenna. The interior section changes include wood inserts, new leather covered steering wheel, being coloured art leather cushions and new floor mats. The Regal gets an integrated audio system coupled with auto volume and tweeters and mew art leather seat covers. 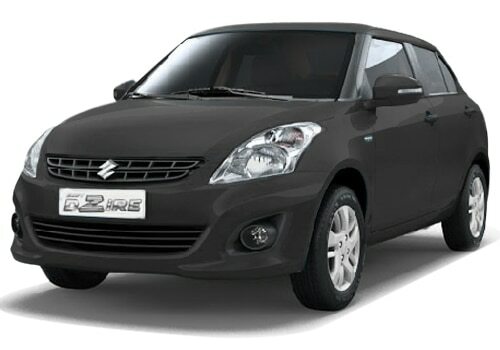 The Maruti Swift Dzire Regal price has been unveiled and available in the market for Rs 5.59 lakh (ex-showroom, Delhi). Maruti Swift Dzire Regal Features, this vehicle is powered by a 1.2 liter, 16V k series petrol engine with VVT that produces an output power of 85.8bhp at 6000rpm and offers a maximum torque of 114 Nm at 4000rpm. It claims to offer a decent mileage of 19.1kmpl and the engine is coupled with five speed manual transmission which transmits the power to all the four wheels. The vehicle comes with a 42 liter fuel tank capacity and the engine offers a displacement of 1197cc. This vehicle has been designed keeping the highest standard of safety which includes Anti Blocking System with brake assist and Engine Drag Control. For security purpose, the vehicle includes an engine immobiliser, central locking key and child safety lock. Added to all these features the new variants come with advanced technologies like four speakers dual-Din audio player, music system with a USB and Aux compatibility and also equipped with multi information display which gives information regarding the average fuel consumption, distance to empty, average speed and low fuel level warning. 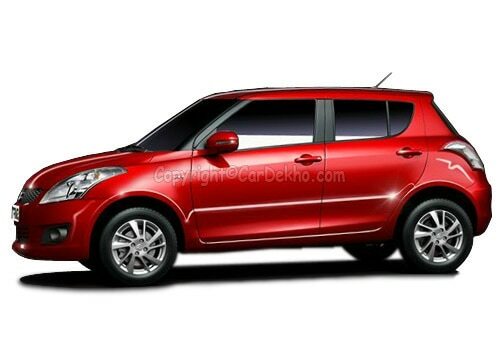 For further more information, look out the Maruti Swift Dzire Regal pictures which are exclusively available in various websites and Maruti Alto High End Trim Launched in India. The first car of a person is always special, no matter who is the maker. The sheer joy of holding the steering wheel for the first time of the car by a customer will make them grin from ear to ear. Those who buy the car for the first time, they have many options in the entry level segments. However, it can be observed, that the most sold car is Maruti Alto 800. Whereas, the most popular and talk about this vehicle, is Tata Nano. Both the four-wheelers are very ideal to learn driving because they are extremely easy to drive and their spare parts are cheap too. The Alto has stamped its authority in A segment but can the world's most affordable automobile challenge it, is the question. The Tata Nano price is Rs. 1.45 lakh to 2.20 lakh (Ex-Showroom, New Delhi). Whereas, the Maruti Alto 800 price is Rs 2.46 lakh to 3.60 Lakh (Ex-showroom, New Delhi). Alto was first launched in the year 1979, its a second generation model was known as 800 in India and Alto 800 is the fifth generation model. 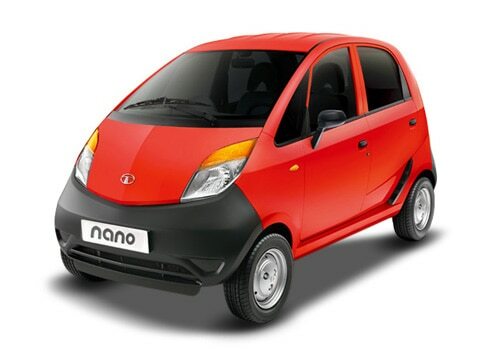 The Nano is the first generation model produced by the Indian manufacturer. The variant is 4 years old when compared to 13 years old Alto. Tata motors started the projected in 2005 and took nearing to 3 years for completion. The old variant produced by the Maruti cars looked decent but the new variant has confused styling and it is not very appealing. The most styling elements are been taken from others and the end result is its exterior is not having any balance or symmetry. 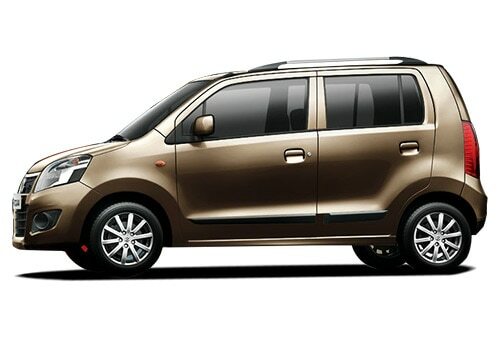 Whereas, the cheap vehicle produced by the Tata cars is very cute and its looks are very balanced from varied angles. The 800 is significantly longer but whereas the Nano is wider as well as taller and hence this provides the variant, tall boy profile. Both the variants have comparatively smaller wheels which look awkward. The seats of Nano offer better comfort than Alto 800 which are too think and they clearly feel like that made to a price. Both the cars offer good AC units. The Nano's rear hatch does not open and one has to flip the rear seats in order to access the boot, it is very inconvenient. The vehicle's boot is bigger too. Twice the size of 177 litres when compared to 80 litres boot capacity of the Nano. The buyers who desire to have look at the pictures of these variants can visit the photo gallery and Maruti has also launching a new version of Maruti Alto a high end trim. The well-known and India's largest auto manufacturer, Maruti cars, has launched the VXI trim of its most popular hatchback Maruti Alto. It is one of the best selling vehicle of the country and doing an impressive business in this segment. 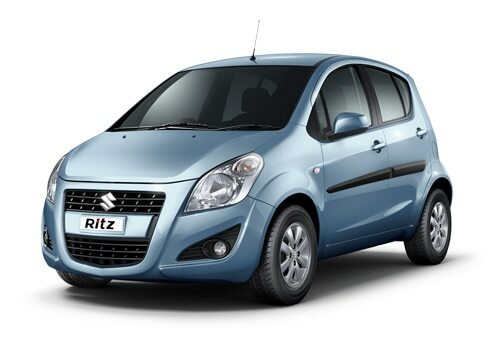 The company has launched it with a very reasonable price and decided to give the Maruti Alto price tag of Rs. 3.17 lakh to Rs. 3.35 lakh (Ex-showroom, New Delhi). It is a common man car, which is known for its powerful engine, limited price and good mileage. The new model is launched with air bags and some other features. The newly launched compact hatchback is loaded with a manual transmission gear box, which gives the extra smoothness in the driving, even on jerky roads. The car is loaded with a 0.8-litre engine with the displacement of 796cc. The Maruti Alto engine, loaded in this vehicle is capable to deliver a power of 47.3bhp at 6000 rpm and a maximum torque of 69Nm at 3500 rpm. The mileage of this vehicle is also good and it returns the fuel-efficiency of 17 kmpl in city condition and 22.74 kmpl on highways. It is a hatchback with a seating capacity of five passengers. The exterior of the hatchback is very compact and it looks very captivating, when we look at the Maruti Alto pictures. The company has given this car a black radiator grille with a chrome stripe and a wide air dam, which helps in cooling the engine quickly. The font part of the hatchback looks good with the body coloured bumper, door handles, out side rear view mirror and many such other features. The company has blessed this newly launched hatchback, which is one of the most popular among the middle class, a lot of features. 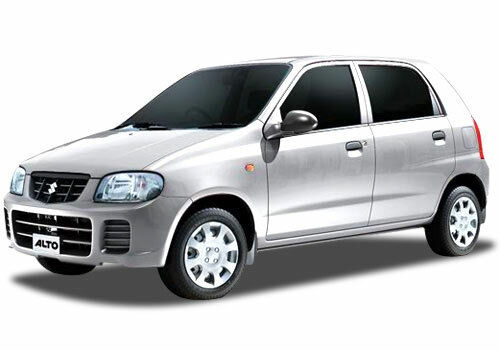 The Maruti Alto features are very standard with its comfort and convenience. The interior of he vehicle is specious and passengers feels very happy while touring. The hatchback is equipped with power steering, power windows but only for front, remote trunk and fuel lid opener, head rest for the rear passengers and low fuel warning light. Apart from these, there are quite a few storage space in the car such as cup and bottle holder for the front, glove box and a large boot space, where we can keep an ample of luggage during long journey. In addition, we can say that the hatchback is loaded with various safety features also,which helps in safe driving in an y conditions. The company has blessed this newly launch VXI trim a pair of air bags, which added extra safety to the occupants. 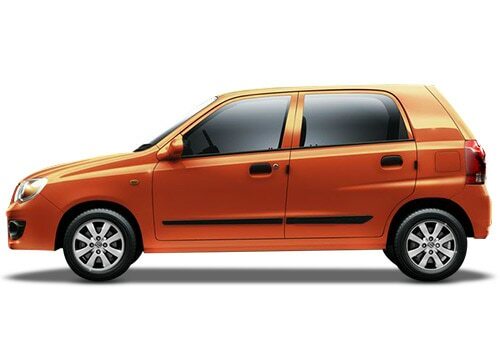 Maruti has also launching a new version of Maruti Alto a high end trim. The world's most trusted company, Maruti cars, have launched its multi-utility vehicle Maruti Ertiga CNG and now this vehicle is available with all three engine options. It is basically a Japanese multinational company and established itself in the Indian car market with its exclusive vehicles. The maker is famous for their customer-centric service and limited price range. The company always made the type of cars which are affordable for the middle class. In this respect this vehicle is also perfect for the business class and for a big family. It is loaded with various features, which can attract the interested buyers easily. 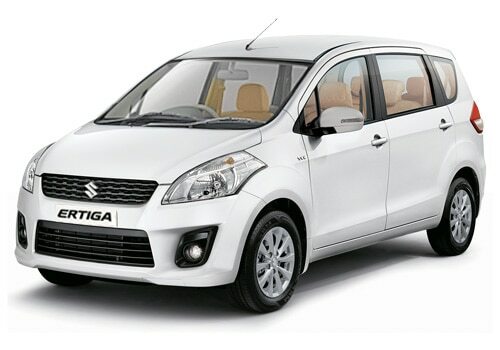 The company has given the Maruti Ertiga price tag of Rs. 7.30 lakh (Ex-showroom, New Delhi). It is equipped with a 1.4-litre engine with the displacement of 1373cc and at the same time this is capable to churn out a maximum power of 93.7bhp at 6000 rpm and a peak torque of 130Nm at 4000 rpm. The fuel-economy of the vehicle is very good. This multi-utility vehicle returns the mileage of 19.35 km/kg in city conditions and on highways, it returns the fuel-efficiency of 22.8 km/kg, which is quite impressive for the Indian road conditions. The company has done the seating arrangements of seven passengers properly with an ample of room. There are a lot of features, which are capable to attract the buyers. 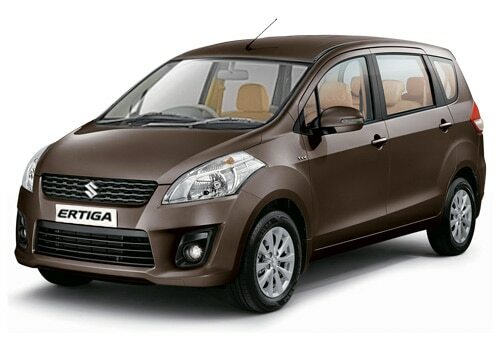 In this respect, the company has made Maruti Ertiga features very impressive and innovative. The interior of the MUV is quite specious and loaded with lots of advanced features. It is a big car and that is why it is bestowed with various safety features. The list of safety features are advanced seat belts for all the passengers, security sensor for door and hood, engine immobiliser and many other such features, which enhance the protection of the occupants and as well as the MUV. Apart from these, the company has gifted this a lot of other impressive features, which makes the occupants feel comfortable. These features are an advanced audio unit, powerful air conditioner with heater, which helps in keeping the temperature favourable in summer as well as in winter season.The Maruti Ertiga pictures are very impressive with its advanced exterior and impressive colour options. The exterior is loaded with a wide radiator grille with a lot of chrome treatment, body coloured bumper and door handles, out side rear view mirror and many other such aspects. 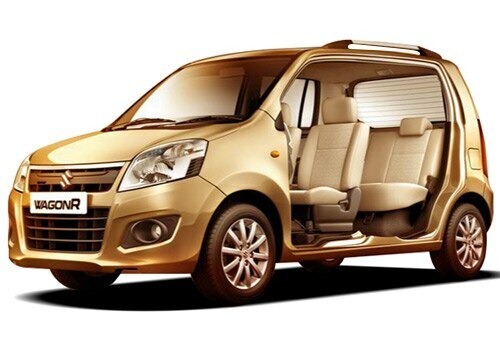 The MUV is available in various exterior paint options and in all those colours, it looks very sparkling and captivating. Maruti also launching a new version of Maruti Alto a high end trim. Maruti cars are produced by the biggest manufacturer of the country. The company has been formed with a collaboration between multinational car maker of japan with Indian manufacturer. The company's head quarter is located in country's capital New Delhi and it has massive manufacturing facilities and assembly plants in Maneswar as well as in Gurgaon, both of which are located in the Northern state, Haryana. 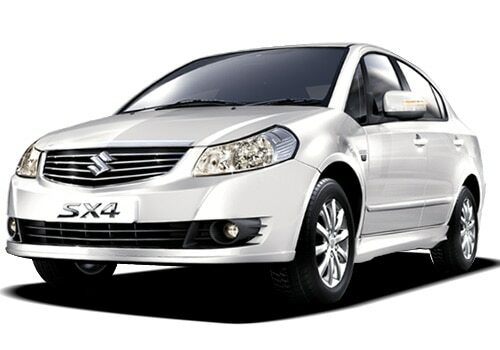 The Maruti SX4 is available in Pearl Arctict White, Serene Blue, Clear Beige, Silky Silver, and Oyster Grey. The manufacturer has been a huge exporter to other global car markets and it has good foothold in the Indian car market as well. It has sold more than 10 million units till date, since the time, the company has been founded in the year 1981. Since its inception the company has been able to rule the hearts of millions of customers who are proud as of buying the right car. 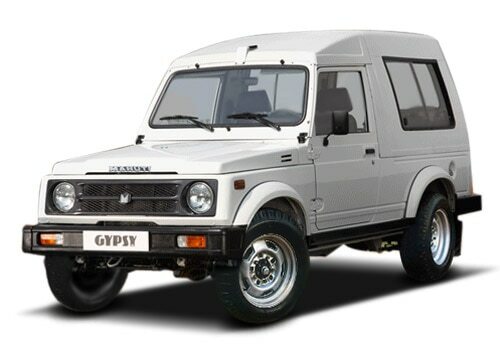 The vehicles produced by manufacturer has helped them to gain good reputation for being economical as well as dependent along with being fuel-efficient and easy on pocket in terms of after sales service as well as repairs. The establishments has varied vehicle models in their reputed fleet. Among them, one such impressive sedan car is counted one among the best sellers from its awe of inspiring fleet. This sleek sedan is available in petrol as well as diesel engine based options, and it was first launched in year 2007 in the country. Since then, the premium sedan has helped in generating numerous sales. 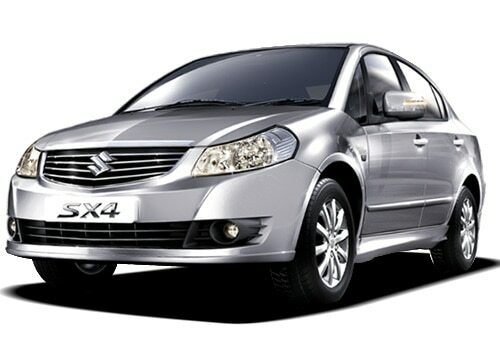 Maruti SX4 price range is between RS. 7.38 lakh to Rs. 9.80 lakh(Ex showroom, New Delhi). The variant is available in pearl arctict White, Serene Blue, Clear Beige, Silky Silver, and Oyster Grey. Maruti SX4 features include Power steering, power windows rear as well as front, automatic climate control, air quality control. It has a remote trunk opener, Vanity mirror, trunk light, rear seat headrest,cup holders front and rear, height adjustable front seat belts and Navigation system. The vehicle provides a decent fuel-economy, however the engineers have further revived the fuel economy on diesel engine. This premium sedan has been equipped with variable valve 1.6 petrol engine. The manual variant of this stylish sedan is said to provide healthy mileage in range of 11.5 kmpl within the city limits. The engine has been cleverly mated with proficient 5 speed manual transmission. On other hand, the automatic petrol engine variant has been equipped with 4 speed automatic transmission. Buyers who intend to view the Maruti Sx4 pictures can visit the gallery. 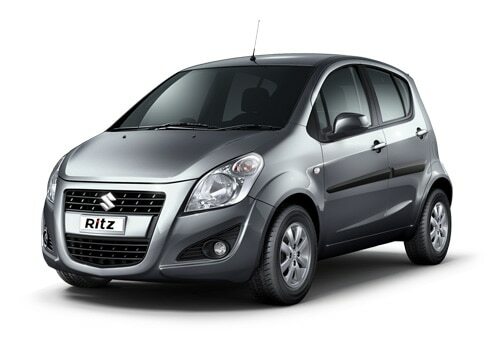 Maruti Suzuki also launched family budget car Ritz but @ BuzZ-Only Limited Edition. The popular and trendy wagon from Maruti is making a comeback in its new avatar. Released many years ago and went through a lot of revisions, this one was an all time top selling car in India and whenever they saw a dip in sales or saturation point in popularity, they immediately responded with a new and better model. The case is similar this time around too, Maruti Wagon R is about to get a new variant which is aimed at boosting the sells and revive the market share in entry level car segment. The new Stingray has been spotted on Indian roads and though it is still sometime to go when they announce it publicly available, there is already a lot of buzz building around the perspective launch. As per the speculations from some unconfirmed sources, it is being scheduled for making a presence this festive season. 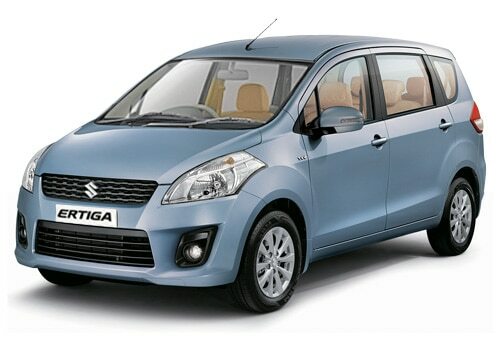 The new Maruti Wagon R codenamed as Stingray will see some new features and a new exterior encapsulating a nice interior. The pricing is expected to go up and the Maruti Wagon R price for the newer model will cost around INR 25,000 more which makes it to INR 3.86 for the base model. 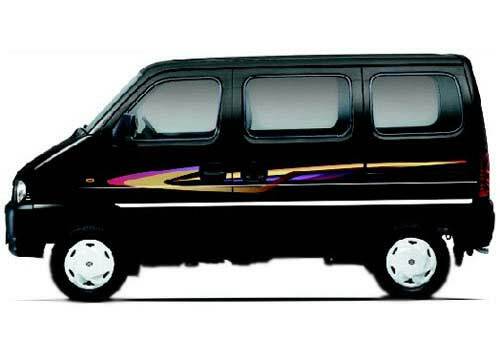 Maruti Wagon R Specs a gorgeous design coupled with nice color options. The car has been kept very close to the original in feel and power yet there has been spotted some new element in design which is apparent in the first look. When one gets the first look at Maruti Wagon R pictures, the impressive square box design makes a mark, the wider front grill bordered by LED headlamps on either sides and multi panel tail lamps are some of those new elements which can be noticed here. A nice looking dashboard sitting along side the steering wheel with a whole lot of buttons and displays is not so elegant but it is better as per the segment. Bigger boot and luggage space is the USP of this car. The power it derives from those 998 engines installed in every CNG and petrol variants, is a good 67 bhp which is less as compared to other variants in the market yet it is good on economy with it's above 20 km in a liter mileage. The fuel tank has been cut down in capacity to make more space for other important parts and it now fills to the top in just 35 liters of fuel, a considerable 15 liter less. The cabin comfortably accommodate 5 peoples. The new product is expected to include a better set of auxiliary features to add in more to comfort and luxury. The air-conditioner, power windows, power steerings and central locking system has been included but they have deliberately missed out on some important details like the air-bags, which now have become a more general safety features and anti-locking braking system which is not present in current version as well.The new hatchback wagon will be launched very soon and when it will come, it will be more interesting to see how well it fares, though Maruti cars are always expected to do well in the initial months post launch. Hope this will get to better the sell volume which is currently around 10,000 units per year. Maruti also launching a new version of Maruti Alto a high end trim. Is Honda Amaze A Better Car Than Maruti Swift Dzire? Honda, the Japanese auto giant is creating waves across the Indian markets by launching its first ever compact sedan Honda Amaze. It is certainly one of the best compact sedans of Honda cars which we can see in the Indian markets and it comes with a dynamic engine, exceptional features and amazing looks. 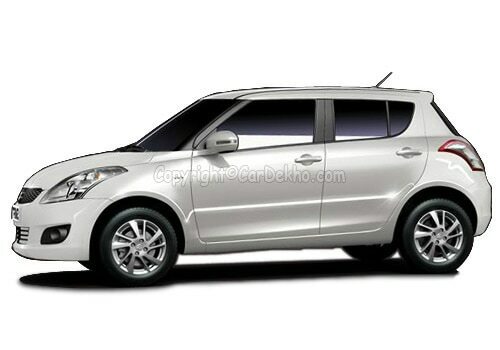 On the other hand, Maruti Swift Dzire is compact SUV produced by Japanese company Maruti Suzuki. 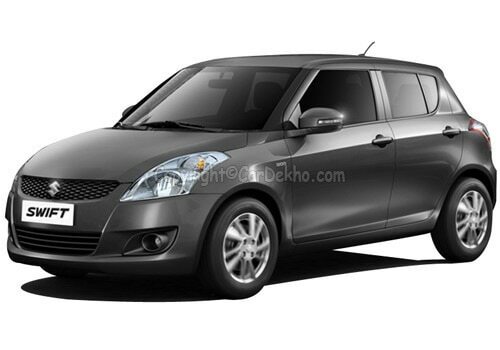 Maruti Swift Dzire is the most useful hatchback by Maruti cars. Honda Amaze is the first car by Honda in its diesel variants. In this car there are a lot of good features which we like and try to buy it. The petrol variant of Amaze produces 87Bhp of power and 109Nm of torque while the diesel powered Amaze produces 98.6Bhp of maximum power and 200Nm of peak torque. The petrol variant is available with both manual and automatic transmission option while the diesel version is available only with a 5 speed manual transmission option. The air vent of the Honda Amaze is not linear and the console panel is also same. The car looks somewhere traditional one, which is liked by some buyers but others want something classy and sophisticated like other luxury cars. The Honda Amaze price is between Rs. 4.99 lakh to 7.60 lakh (Ex showroom). Because of its good quality, the company creates the milestone in terms of sales. On the other hand, the new Maruti Swift Dzire is set to become another winner for Maruti. The SUV has total of 8 variants, spanning a wide price range. 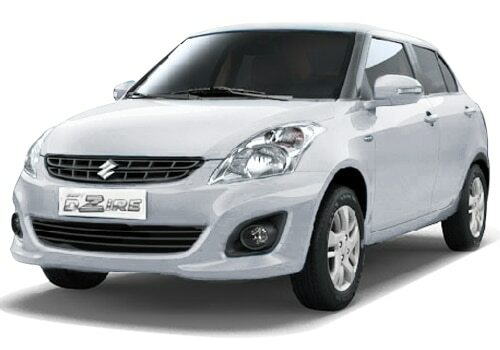 Maruti Swift Dzire price is between Rs. 4.92 lakh to 7.50 lakh(Ex showroom) . The engines have the Fiat's much acclaimed 74 bhp 1.3-litre Multi-jet engine. In traffic, the new diesel Dzire is a much better companion at low engine speeds. New Swift Dzire adorns some changes like a completely new grille. A slatted grille is neither seen on Swift hatchback nor Swift Dzire sedan. The headlamps are bigger and better looking new with completely new tail lamps, larger rear door; the new bumpers incorporate wider air dam grille and new fog lamp enclosures. In short, when we compare both these car, it is difficult to say which one is better but when we buy a car for their look and design then the Honda Amaze is a good option but if we pick one on the grounds of performance then Maruti Swift Dzire is the best choice. Look wise you find it same as any other sedan, but when you drive it you will love it. The difference Maruti Swift DZire has is that its interior are far better than what others. For a family of five this is an ideal car. The Maruti Swift Dzire at speeds of 120 kmph the car remains stable even on Indian roads. For the first time, Dzire comes with automatic transmission; this gives everyone a smooth and efficient drive not only in the city but also in the hills. 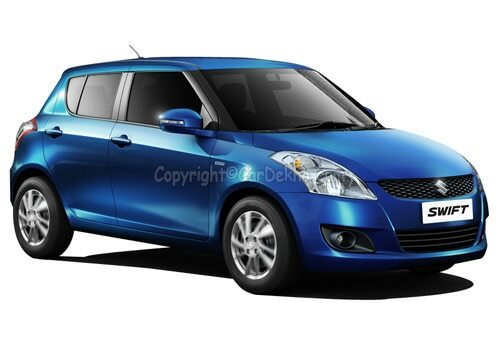 Something more to look in the car is the amazing variety of colors,around 8 are available.When you look at Maruti Swift Dzire pictures,some of the colors it provides you are The Pacific Blue, Midnight Black which gives it a pleasent look. The Maruti Swift Dzire’s price is between Rs. 5- 7 lakhs, depending upon the type. Maruti Suzuki India Limited has recently launched the new variant in the Swift Dzire line up called Maruti Swift Dzire Regal. 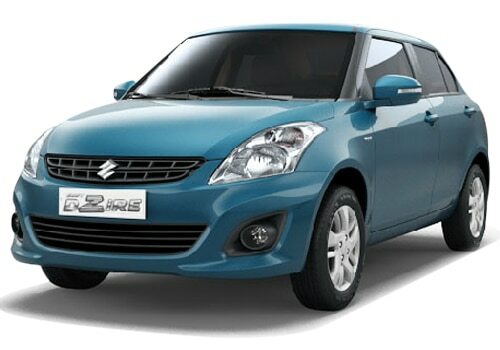 The new Maruti Swift Dzire price is at just Rs. 5.69 lakh (ex showroom price New Delhi), which seems to be a fairly decent price. Swift Dzire is one of the best selling compact sedans in the Indian markets and now it will be facing challenges from the newly launched Honda Amaze. Although, not much of changes happened to this new car, it comes with fair improvements in terms of interiors. The all new Dzire Regal comes with a silver colored front grille and body colored OVRMs with side indicators lamps as you can see in the Maruti Swift Dzire pictures. This new vehicle also received changes inside as well that truly made it one of the most desirable vehicle in its class. The car has got some new features inside such as electronically adjustable OVRMs, advanced music system, leather seating upholstery, and so on. In what seem like a move to tackle the challenges from Honda Amaze, Maruti Suzuki has introduced this vehicle in the markets. However, the company claims that the vehicle is launched on the occasion of fifth anniversary of Dzire. The company is conducting some intense marketing campaign for the vehicle and it is promoting Regal as the most fuel efficient petrol car in India and why not? It has the efficiency to deliver a mileage of about 19.1Kmpl, which is the most by a compact sedan. The company however, has not made any changes to the engine and its specifications. This new car is made available only with petrol engine option and it is powered by a 1.2 litre K series VVT Petrol engine with a displacement capacity of 1197cc. This engine has the capability to produce a power of about 85.8Bhp at 6000Rpm and 114Nm of torque at 4000Rpm. It is paired with a manual gearbox that transmits the power through front wheel and produce 19.1Kmpl of mileage. The new Maruti Swift Dzire features looks to be decent with AC, power steering, power windows, central locking, leather seating and so many others. However, there are no cup holders, no anti lock braking system and few other features. The company is hoping to improve the sales of Maruti Cars in India by launching back to back models in the country. Company's previous records says that MSIL is very responsive in heavy competitive situations and hence we are expecting that MSIL will not be leaving any stone under the current market situations. Affording money on Dzire Regal seem to be a good choice but lack of some important feature is what something that you need to consider before buying. Japanese auto major Honda has introduced its Honda Amaze compact sedan with i-DTEC diesel engine for the first time in Indian markets. Now the Amaze diesel becomes the first car in the Honda Cars lineup to have the diesel engine under its hood and it is launched against the most popular Maruti Swift Dzire, which is baring the flagship of compact sedans for Maruti cars in india. Now it will be interesting to watch how the fight goes on in between these two compact sedans in the segment. Both the vehicles are fuel efficient and the cost effective sedans that makes it tough for the car buyers to choose one of them. Honda has took a long time to introduce a diesel variant in Indian markets but came up with a reliable engine design that can deliver exceptional performance while producing a great mileage. On the other side Dzire is undoubtedly the most popular and a high performing vehicle but after the introduction of Amaze, you will find that Dzire lags behind. If you are confused in choosing one of these two sedans, you may need to compare both these vehicles so as to make sure you choose right model. If you just look at the newly launched Honda Amaze diesel, it is a sub 4 meter compact sedan equipped with a 1.5 litre, 4 cylinder, i-DTEC diesel engine that churns out a maximum power of about 98.6Bhp at 3600Rpm and makes a maximum torque of 200Nm at 1750Rpm. Its engine is paired with a manual transmission gearbox. Most important thing is its fuel efficiency of 25.8Kmpl, which is certainly an advantage of this sedan. On the other side, Swift Dzire, is blessed with a 1.3 litre, 4 cylinder DDiS diesel 1248cc engine that churns out 74Bhp of power at 4000Rpm 190Nm of torque at 2000Rpm. It is also powered by a manual transmission gearbox and helps the vehicle to produce an attractive 23Kmpl of mileage. The diesel Honda Amaze price starts at just Rs. 5.99 lakh which is the same as the Maruti Swift Dzire price of Rs. 5.99 lakh (ex showroom price, New Delhi). However one should consider the features inside both the vehicles, which will give a clear idea about which one is the best. 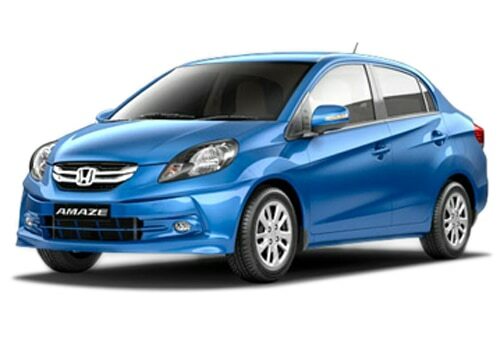 More or less, Honda Amaze seems to be an ideal choice for the individuals as it is the most featured compared to Dzire. Base version of Amaze diesel offers power steering, power windows, anti lock braking system, central locking and many other features, which are missing inside the base version of Dzire. Thus, it would good to choose Amaze rather than going with the Dzire compact sedan, which lacks some of the most important features in its base version. Maruti Cars, the leading Indian car manufacturer has gone a step ahead of all its competitors by launching its all new facelift Maruti Suzuki SX4. It was concluded in quite a unique, moreover in a peaceful manner. Thus, it has put an end to all the speculations regarding its launching date. It has undergone several changes and additions in both interiors and exteriors extensively. Apart from the updated exteriors and interiors, certain level of concentration is paid towards the fuel economy quotient. 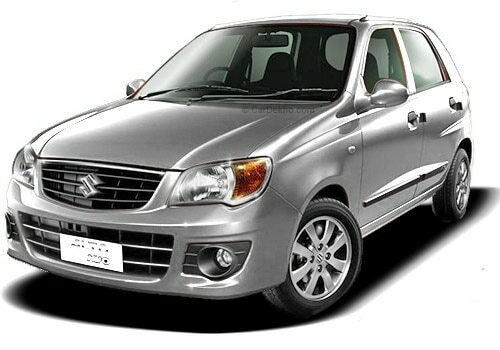 Surprisingly, Maruti Suzuki SX4 Price still remains the same, despite the addition of several exquisite features. However, the best thing is that the every fuel variant now has an improved fuel economy. Petrol version is now capable of providing a great fuel economy of 16.51 kmpl. It indicates a clear increment of approx. 6% as compared to the previous one. The Diesel version promises an outstanding mileage of 21.79 kmpl. Leaving aside these two variants, what excites audiences the most is the improvisation in the CNG fuel version. It returns an excellent mileage of 22.1 km/kg. The several modifications in the exteriors have made it look lavish and dynamic which is quite clear by the Maruti Suzuki SX4 Pictures. It makes it appear more sophisticated and contemporary. It receives a muscular bumper with 2-tone front grille, fog lamp with dual-tone garnish along with two new color options which are Serene Blue & Granite Grey. Courtesy to its new exclusive bumper design, Its length has also been enhanced by 10mm. Now if we divert our vision towards the interior section, then can can quote with almost utmost ease that appreciable work is done here. Maruti Suzuki SX4 Features premium seats along with fabric upholstery with dual tone black and beige interiors, black and marble, black and marble finish prints inside, Chrome finish inside handles and Chrome finish AC side louvers. Maruti Cars have also devoted sufficient amount of time in giving it a more classy look by adding electronically adjustable ORVMs with integrated blinkers, touchscreen audio system with GPS navigation and bluetooth connectivity. The petrol variant is supported by the 1.6 Litre VVT Petrol Engine whereas the diesel variant features superturbo 1.3 Litre Diesel Engine. In all, these various alterations and additions have made it more elegant, comfortable and affordable. It surely now has more to offer and gain customer's attention and interest towards it. Maruti cars known as people's car that has been blissfully pampered at every aspect. Each and every detail of the this Maruti Alto 800 has has been vitally developed in respect to meet various needs of its buyers. 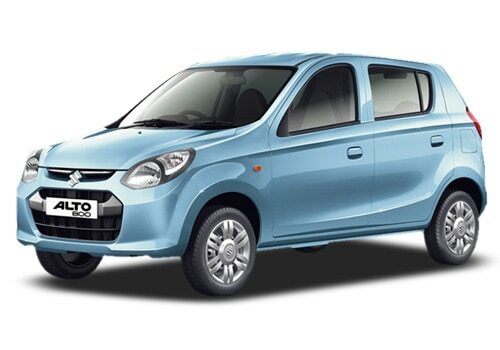 Maruti Alto 800 price ranges from Rs 2.43 lakh- 3.57 lakh( ex-showroom). Maruti 800 has been one of the highest selling car from its manufacturing date, it has created such an impression on Indian mindset that for the middle class a car symbolizes Maruti 800. 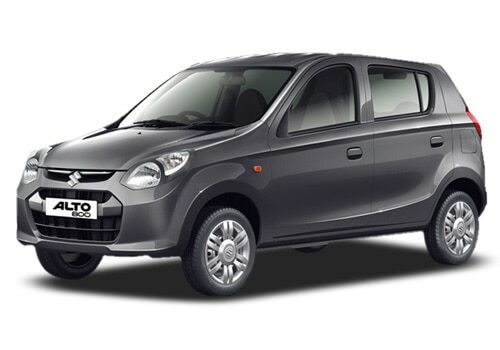 After a decade with the introduction of Maruti Alto 800, much claims are hyped that this new baby will not be as acceptable in this era, as regards to the public repose that Maruti 800 got. But after the introduction it made many mouths shut with its overwhelming response. The evolutionary design that has been developed with cutting edge technology imparts a more distinct visual impression on road. It established benchmark with a advance booking of 21,000. Moreover it has been selling 25,000 units of Alto 800every month. Now it set yet another milestone by selling 1 lakh units of Alto 800 in just 124 days. Maruti Alto 800 pictures flaunt stunning exterior finish with prominent character lines, petal shaped headlamps and iconic grille. The grille is bigger and imposing that facilitate more air transition for the mill. This hatchback took the legacy ahead, it replaced the popular mini hatchback Alto from the house of Maruti. It features a fresh and airy cabin with those big window glasses. Maruti Alto 800 features all the current generation attributes that all aim to make the drive more comfortable and safer. It is loaded with features that are simple, convenient and smart at the same time. 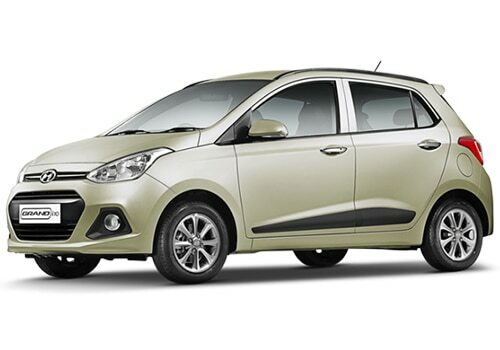 The car gives a cut throat competition to Hyundai EON and Chevrolet Spark. The hatchback proves its dominance with the current sales record and ever rising demand. 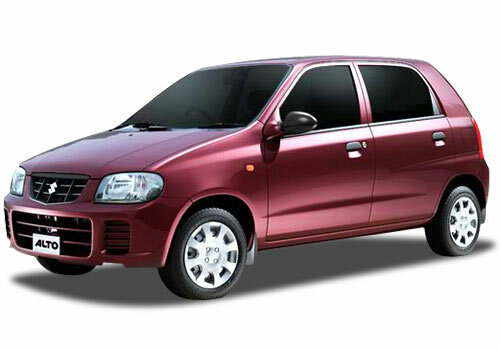 Maruti Alto 800 features all the technologically advanced features that are purely designed according to Indian roads. The new Alto 800 is step ahead from the earlier one, in many ways. The new Maruti Alto 800 has oodles of space inside that provides handsome space for all the 5-passengers. The layout of features are simple to access and convenient. The seats inside are big and flexible with better quality fabric upholstery. The new Maruti Alto 800 is powered by 796cc mill is quite robust for the segment. It has a power that the car could accelerate from 0-100kmph in a just 15-16 seconds, with a top speed of 145Kmph. The India's largest car manufacturer and a a leading hatchback car maker Maruti Suzuki has launched special edition Maruti Swift Star with a price ranging from Rs. 4.77 lakh to Rs. 6.33 lakh. The company has launched this vehicle in order to mark the sales of over three million units. This car is a huge success in Indian markets as India accounts for over 45 percent of overall sales, which explains that the Indian car enthusiasts are more interested about this vehicle. It was first launched in the year 2004 in the Japanese markets followed by Hungary, China and in India in the year 2005. Since then the car never looked back and went on to achieve a sales margin of about 3 million units, which is a milestone for Maruti Cars. This vehicle is a huge success in the global markets, especially in India, Europe and Japanese markets. At present the Suzuki Swift is available in about 125 countries and performing well across the globe. It is still doing good in the markets, especially in the Indian markets, where it has managed to achieve over 45 percent of the overall sales. This encouraged the company to celebrate the occasion by launching a special edition with a set of new features. The new Maruti Swift Star features include the all new 2-DIN music system with a pair of speakers, steering wheel covers, designer mats, and art leather seat covers. If it comes to the changes outside, it has got a new rear spoiler that enhances the sporty look of the car as you can see in the new Maruti Swift Star pictures. On the other side the specifications of the car remains to be the same as its existing version and it is made available with two engine options such as petrol and diesel. As far as the new Maruti Swift Star price is concerned, customer will have to pay a sum of Rs. 25,000/- extra on the LXI, LDI, VXI and VDI variants that means that the price starts at just Rs. 4.77 lakh. There are lots of things that helped Swift to become one of the most successful vehicles in the auto markets. It is perhaps the most fuel efficient hatch with a fuel efficiency of 17Kmpl to 22Kmpl that lured in many of the Indian car enthusiasts. On the other side it is a high quality hatch with a cues from European design that made it look very attractive in its segment. Now, customers who are looking to buy this car must immediately approach their nearest dealer of Maruti Cars to place an order as the stocks wont last for the long time. Maruti is the biggest car seller of India. The fact behind it being that Maruti has been the pioneer in small segment and small budget cars of India. Maruti had brought in market, Maruti Versa with more seating capacity for the larger families of India. However it did not work as well as other of the Maruti Cars. And then it was replaced by Maruti Eeco. The car was launched in three variants - Maruti Eeco 5 seater, the base model of the segment. It has a seating capacity of 5 passengers, Maruti Eeco 5 seater - AC- packed with an air conditioner and Maruti Eeco 7 seater which is really spacious. The Maruti Eeco is jam-packed with a 1196cc petrol engine that creates maximum power of 73 Bhp at 6000 rpm with a maximum torque of 101 Nm at 3000 rpm. The performance of the engine is commendable and accelerates to 100 kmph in just 15.7 sec. The top speed that can be maintained is 146kmph. Not only this, the car is said to offer an average of 15.1kmpl. It is provided with a five speed manual transmission gearbox. The gearbox has DSA (Diagonal Shift Assistance) technology which lets noise-free gear change with out any halt in continuity. This improves gear-shifting of the car greatly. The company has now launched a limited version of this car called the Maruti Eeco Smiles. The edition has largely went through cosmetic changes only and no mechanical changes have been reported. The Maruti Eeco Smiles Price varies through it's variants. The Five seater variant without A/C costs Rs. 3.32 lakh. However the five Seater variant with A/C will cost you a little more that is Rs. 3.63 lakh. 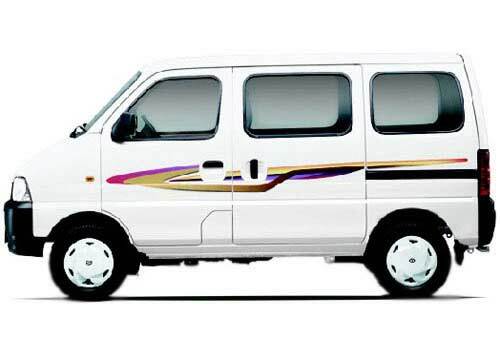 The last and the high end variant with seven seater capacity without A/C costs Rs. 3.49 lakh (All prices, ex-showroom, Mumbai). As mentioned above, Maruti Eeco Smiles Features have not changed much except than the cosmetic upgrades. On the outside, the car is embellished with new wheel cover and mud flaps. Inside, the Eeco Smiles limited edition is fabricated with a new double DIN music system with USB port. New dual tone seat covers and new doormats have been added to make the interiors look neater and warmer. The car is powered by a 1.2-litre petrol motor, and also offers a CNG kit option. All of the new features together sum up to a charge of Rs. 9,490. Maruti Eeco Smiles Pictures also exhibit an addition that is new smiley stickers printed to the front and rear of the car. To stir up in the market, the car market leader Maruti Suzuki has introduced a limited edition of its popular model Estilo as Maruti Estilo Nlive. The car was launched back in 2009. And since then, the car has surely been the lowest selling car of the Maruti cars. As the name suggests it can be assumed that it is well a tactic of the traders to keep their product surviving at the sales charts and at the same time move out their product to roads. The new Estilo Nlive imbibes in it various features that are a special addition to this edition. There is a a combo of 14 new changes that has been offered to the customers to to pep up the sales this season. N-live decals and the body Graphics printed on the car try to give a young flair to the car. New stylish wheel cups, mud flaps in body color and dual tone steering wheel cover add to the value quotient of this edition specially. Synthetic Leather seat covers, decorated with quilted art and seat cushioning provide a warm and personalized touch to the interiors. Carpet mats, seat pockets on back seats and a2-DIN music system with USB and AUX in are add to the Maruti Estilo NLive Features. And the list doesn't end there at all, you have full wheel covers and a beige parcel tray supplemented in the edition to make it the best buy for its customers. Maruti Estilo NLive Pictures reveal that in addition to the new features, the color shade palette includes a new breeze blue color only for the limited edition. Estilo Nlive gives an average of around 19 kilometers per litre. It is loaded with a very swift, 998cc K10B petrol engine. The engine produces a torque of 90Nm @ 3500 rpm and generates power of 68ps @ 6200 rpm. The M.D., Maruti, is quite confident about the increment in sales this time. As he believes that limited editions and such a package of features is sure to grab the attention of the customers. Maruti Estilo NLive price is yet not announced. It is estimated that the price will be somewhat higher than the price of the VXI model. Sources reveal that the car is soon to be called-off . So, it is suggested, that the best time to buy this car has arrived and interested shall soon rush as it is a limited attention. Also, attractive discounts are being offered on Maruti Estilo.